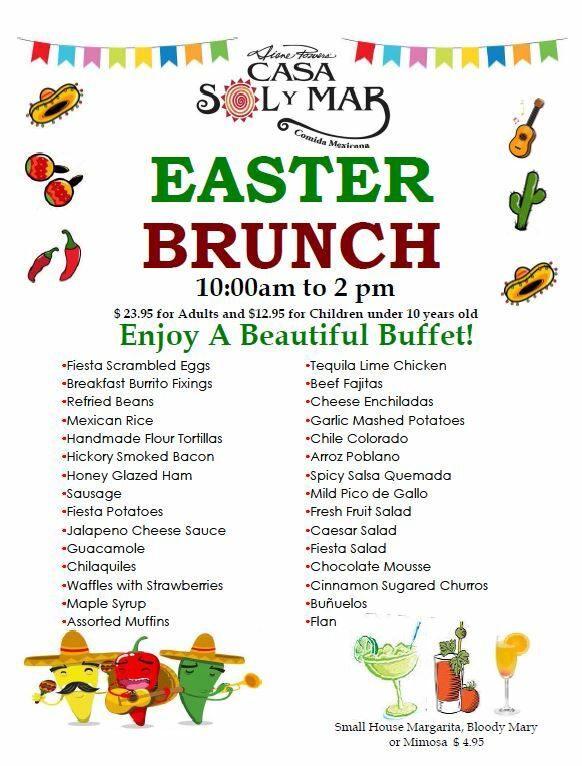 Come visit Casa Sol y Mar this Easter Sunday for a beautiful brunch buffet with delicious Mexican and traditional breakfast favorites! Have a special occasion coming up? A big family birthday, rehearsal dinner or company milestone? Give your gathering some fiesta flare by hosting it here at Casa Sol y Mar! Indulge in authentic award-winning Mexican cuisine and Birdbath Margaritas among beautifully decorated dining rooms and an enchanting outdoor patio. Decorated with hand-crafted furnishings, fine Mexican folk art, and colorful hand-painted murals, guests feel the warmth and romance of Mexico as soon as they enter the door. 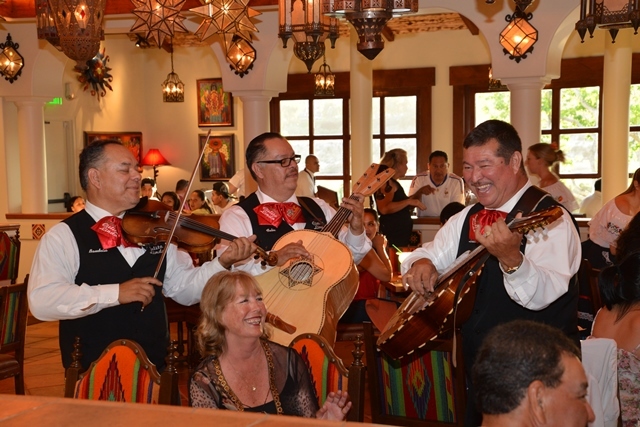 Our world-class strolling mariachis add a level of fun to the festive atmosphere. Casa Sol y Mar offers abundant banquet and catering menu options, including gluten-free, vegetarian and healthy dining selections. Only the freshest ingredients are used for our 14 salsas and sauces made fresh daily, delicious selections of homemade salad dressings, and hot corn and flour tortillas prepared throughout the day. Choose from one of our affordable event packages, or let us work with you to custom design your perfect menu.